River toad (Phrynoides asper) is a large toad with warty, dark brownish to blackish stout body. It has inconspicuous ‘x’ mark on the back between the round-to oval-shaped paratoid glands in young. This species is usually dark brown, gray or black in color, with black spotting ventrally. The tips of fingers of this species are rounded or swollen. Its eardrum is visible. The females have a snout-vent length of 95-215 mm, while the males have a snout-vent length of 70-100 mm. This toad can be found in primary forest and in freshwater wetland at all elevation. 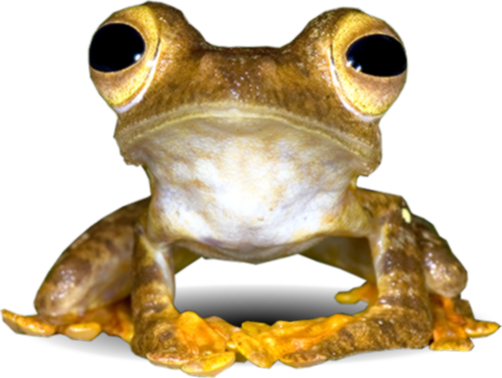 The altitude range of this species is from 0 m to 1000m a.s.l. This species is distributed in Thailand, Malaysia, Brunei Darussalam, Indonesia and Myanmar (Inger & Stuebing, 2005). Heritage of Kubang Badak: Guide to Discover Kubang Badak Biogeotrail, 2018. Pusat Penyelidikan Langkawi, Universiti Kebangsaan Malaysia & Lembaga Pembangunan Langkawi, Malaysia. pp. 62. Lee Grismer, L. (2005). Amphibians and Reptiles of the Tioman Archipelago, Malaysia. Forestry Department Peninsular Malaysia, Malaysia. pp. 215. Norhayati, A., Senawi, J. & Lim, B.L. (2005). A Pocket Guide: Amphibians of Ulu Muda Forest Reserve, Kedah. Forestry Department Peninsular Malaysia, Malaysia. pp. 120. Norhayati, A., Senawi, J. & Lim, B.L. (2004). A Photographic Guide To Amphibians of Endau Rompin State Park, Pahang. Forestry Department Peninsular Malaysia, Malaysia. pp. 59. Mohammad Khairi, A (2007). Taman Negara Pulau Pinang: Sinar Mutiara Belantara. Jabatan Perlindungan Hidupan Liar dan Taman Negara, Malaysia. pp. 112. Abdul Rahman, A.R., Mohd Nasir, A.H., Ahmad Fadzil, A.M., Richard, A.M. & Latiff, A. (2014). Hutan Gunung Besar Hantu, Negeri Sembilan: Pengurusan Hutan, Persekitaran Fizikal dan Kepelbagaian Biologi. Jabatan Perhutanan Semenanjung Malaysia, Malaysia. pp. 254. Mohd. Paiz, K., Norhaidi, Y., Rosilan, S., Norhayati, A. & Latiff, A. (2016). Taman Rimba Kenong, Pahang: The Central Gem of Peninsular Malaysia. Jabatan Perhutanan Negeri Pahang, Malaysia. pp. 135. Suhaila, A.H. & Nik Ahmad Irwan Izzauddin, N. H. (2014). Biodiversity of Gunung Ledang Mountaineering The Nature. School of Biological Sciences, Universiti Sains Malaysia and Johor National Parks Corporation, Malaysia. pp. 165. Razani, U., Koh, H.L., Nik Mohd. Shah, N.M., Damanhuri, A. & Latiff, A. (2010). Hutan Simpan Bintang Hijau, Perak: Pengurusan Hutan, Persekitaran Fizikal dan Kepelbagaian Biologi. Jabatan Perhutanan Semenanjung Malaysia, Malaysia. pp. 281. Sitprija, V. & Suteparuk, S. (2012). Clinical Physiology of Animal Toxins: An Overview. Queen Saovabha Memorial Institute, The Thai Red Cross Society, Thailand. pp. 119. Citation :- Phrynoidis asper. Malaysia Biodiversity Information System (MyBIS). https://www.mybis.gov.my/sp/19465. Downloaded on 18 April 2019.